Baxter has over 20 years of executive experience and a record of success in leading multinational corporate strategy efforts in the biotechnology and pharmaceutical industry. Most recently, Baxter was President and CEO of Neurogastrx, where he successfully led the company to its transformational $45 million Series A financing. Prior to Neurogastrx, Baxter served as Chief Business Officer of AmpliPhi Biosciences (NYSE: APHB), where he played a pivotal role in establishing the Company’s manufacturing, leading multiple financing campaigns and navigating the company to its NYSE listing. 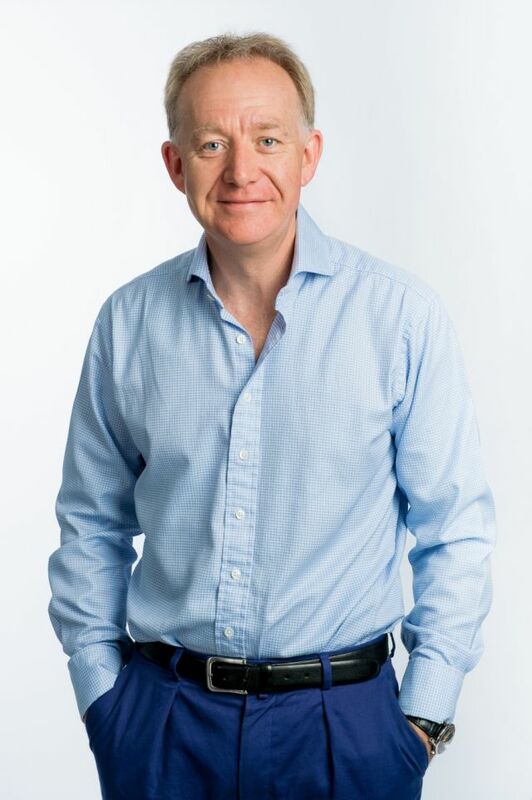 Prior to AmpliPhi, Baxter’s leadership appointments included Depomed, where he was responsible for licensing the company's product portfolio of development-stage and marketed products on a global basis, and Osteologix, where he successfully concluded a global licensing transaction with a multinational pharmaceutical company. Baxter began his career as a research scientist with Insmed, Inc. where for ten years he held a range of leadership positions in research, licensing, finance, investor relations, and sales and marketing. He earned his MBA from the College of William and Mary and his Bachelor of Science in Biology from Hampden-Sydney College. After a decade in the life sciences industry as an academic researcher, Jonathan moved to become an experienced entrepreneur and investor. Passionate about supporting UK life science and high-tech start-ups, he is Chairman of Camallergy, as well as Axol Bioscience Ltd, PhoreMost Ltd, Repositive Ltd and Definigen Ltd. He has provided considerable investment and support to over 30 companies and has assisted three AIM IPOs. Sherden led the formation of Camallergy and spin-out from Cambridge University Hospitals following his MBA at the Cambridge Judge Business School. He designed the Cambridge Peanut Allergy Clinic, and led start-up funding rounds and early drug development in preparation for clinical trials. An engineering graduate from Imperial College London and a former management consultant at top-tier firms Booz & Co (now Strategy&) and Accenture, Sherden has experience across a range of industries in strategy and managing complex and technical programmes. Pamela Ewan is one of the leading allergists in the UK and head of the Allergy Department in Cambridge, a leading centre in the specialty. In 1988 she set up the allergy research program at Cambridge University Hospitals, along with the clinical allergy service, which is now one of the largest in the UK. Pam is experienced in all aspects of clinical allergy. Her special interests are nut allergy, anaphylaxis and venom allergy. She has a large clinical experience in nut allergy. She has been working on nut allergy for 20 years and her research has led to better understanding of this condition and to improvements in patient care. She has developed an effective collaboration with Dr Andrew Clark, and they most recently developed a programme of desensitisation to treat peanut allergy. In various national roles she worked to highlight the need for allergy care and to improve NHS allergy services, for which she was awarded CBE. She is chair and co-founder of the National Allergy Strategy Group and past President of the British Society for Allergy & Clinical Immunology. Andrew has been a consultant in paediatric allergy at Addenbrooke’s Hospital since 2003, gaining his MD Thesis in Allergy in the same year. He leads the paediatric allergy service at Addenbrooke's Hospital and his work is complemented by a broad UK Government-funded research portfolio in paediatric and adult allergy. Together with Pamela, Andrew led the recent successful Phase 1 and 2 trials in peanut oral immunotherapy that led to the foundation of Camallergy. As key opinion leader in paediatric allergy practice, he also is chair of the Standards of Care Committee of the UK national professional allergy organisation (BSACI), leading the development of national guidelines for allergy specialists. Sarah brings 17 years of industry experience, having directed clinical and cross-functional projects at start-up pharmaceutical companies as well as larger names such as Genzyme and a leading contract research organisation, Covance. Sarah leads the support of the Cambridge Peanut Allergy Clinic and the setup and operation of clinical trials. Sarah brings 15 years of experience in diagnostic and pharmaceutical research across all stages of research and development from target identification, pre-clinical development, clinical trials to market launch. Sarah’s experience is in designing and implementing clinical trials in academic university departments as well as her analytical and project management skills developed whilst working at Medimmune. Sarah oversees the design of clinical trials and leads development and validation of analytical methods. Sateesh has over 20 years of industry experience as a CMC (chemistry, manufacturing and controls) consultant for leading pharmaceutical organisations such as Gilead, GSK and Pfizer. Sateesh oversees technical development and regulatory affairs across our supply chain, ensuring adherence to regulatory guidelines and good manufacturing practices. Godfrey brings over 20 years of industry experience that includes the development and validation of analytical methods and the setup and oversight of quality systems. Godfrey develops and oversees our quality system and supports the development of our manufacturing processes and quality controls.